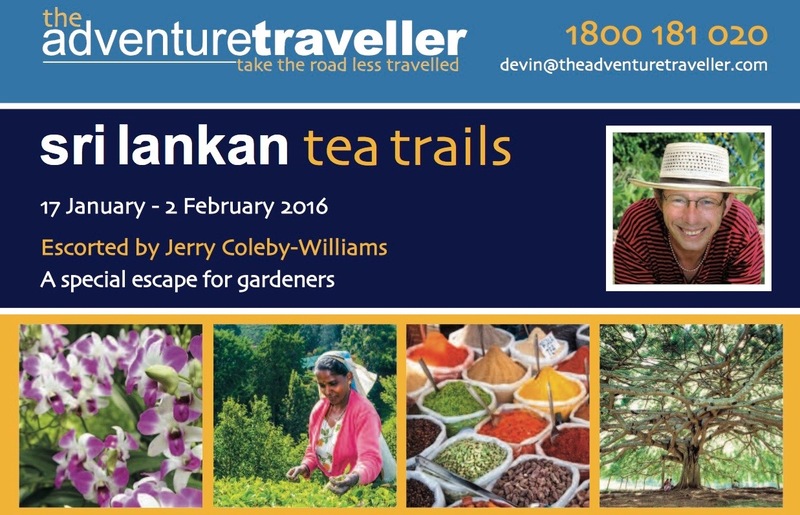 Experience the plants, landscapes, wildlife, architecture and food culture of Sri Lanka and Singapore, two strikingly different tropical island nations, touring with plantsman and conservationist, Jerry Coleby-Williams. On this special-interest, escorted tour of up to 14 guests, The Adventure Traveller invites you to get your new year off to a stimulating start with this exciting, value-packed, seventeen day holiday for gardeners and gourmets. It’s effortless itemising and costing a touring holiday. I asked Devin Hunt of The Adventure Traveller, and he did all the work. What is less obvious is the value this package offers. Leading The Adventure Travellers’ ‘From Paddy to Plate’ tour of Viet Nam (June 2015) was my first experience of a group tour. Devin and I devised an itinerary around the topics of food culture, horticulture, conservation and heritage for a small group. I didn’t expect the tour would be such a success, or that our group would end up becoming friends. Two in our group discovered they were neighbours! 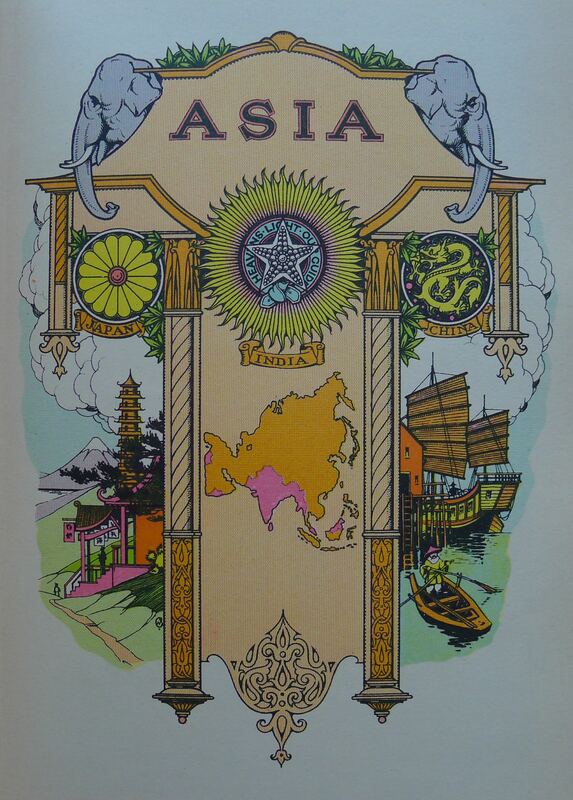 Everyone seemed to achieve something on a personal level: from tailored clothes, outstanding cookery lessons, spectacular sights, to beautiful and useful plants. As always, it was the people on the tour, those behind the scenes and the hospitable people of Viet Nam that made the experience unforgettable. I loved the fact that I had to travel to Viet Nam to discover new uses for several plants I have been growing for years. I found myself dissecting food parcels and spring rolls to see what was inside. Who would have thought that common golden Cosmos (Cosmos sulphureus) had edible leaves with medicinal purposes? * Experience two world famous botanical gardens: Peradeniya (near Kandy, Sri Lanka’s cultural heart) famous for its ribbon gardens, avenues, palmetum and arboretum, all unique expressions of colonial, horticultural experimentation. * Bring a macro camera lens. You’ll need one to capture the exquisite detail of the National Orchid Garden at Singapore Botanical Gardens, a UNESCO world heritage). Set your camera on panorama mode to take in the scale of Singapore’s magnificent, futuristic ‘Gardens by the Bay’. * Where premium tea grows, so too grow roses and dahlias. At 1,645 metres above sea level, Sri Lanka’s Hakgala Botanical Garden is the coolest place for horticulture – and a great chance to wear your tweeds. Replete with Georgian and Tudor-inspired architecture, the nearby hill town of Nuwara Eliya is famous as the nation’s ‘Little England’. * Be prepared. Almost a quarter of Sri Lanka’s plant species occur nowhere else. On this trip you will explore the diverse climatic zones and habitats of Sri Lanka, including cloud forest, temperate highlands, subtropical interior, coastal tropics, savannah and wetlands. * Pack your telephoto lens. 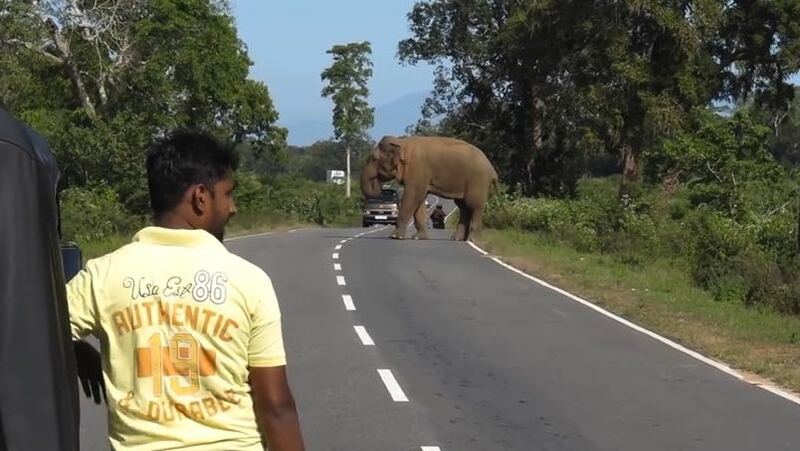 See endemic fauna, like the Sri Lankan leopard and Sri Lankan elephant, conserved at Yala and Bundala National Parks (UNESCO Man and Biosphere Reserves). On dawn safaris, be on the lookout for greater flamingoes and a variety of birdlife on a scale comparable to Kakadu. Enjoy the freshest Sri Lankan cuisine, which centres around rice served with a curry of fish, chicken, beef, lamb or goat, and vegetarian curries made from vegetables, lentils or fruit. Discover the variety of accompaniments served: pickled fruit or vegetables, chutneys and sambals (especially coconut sambal). Learn new skills from expert chefs as they demonstrate how to prepare authentic national dishes. Visit toddy tappers (palm wine), spice and herb gardens and tea plantations. Improve your gardening skills and horticultural IQ. Discovering the principles and healing plants involved in traditional ayurvedic medicine might just change the plants you grow. Don’t know how to grow it? Ask Jerry. At a leisured pace, and with local tour guides, join Jerry and head for ancient fortresses and The World’s End. 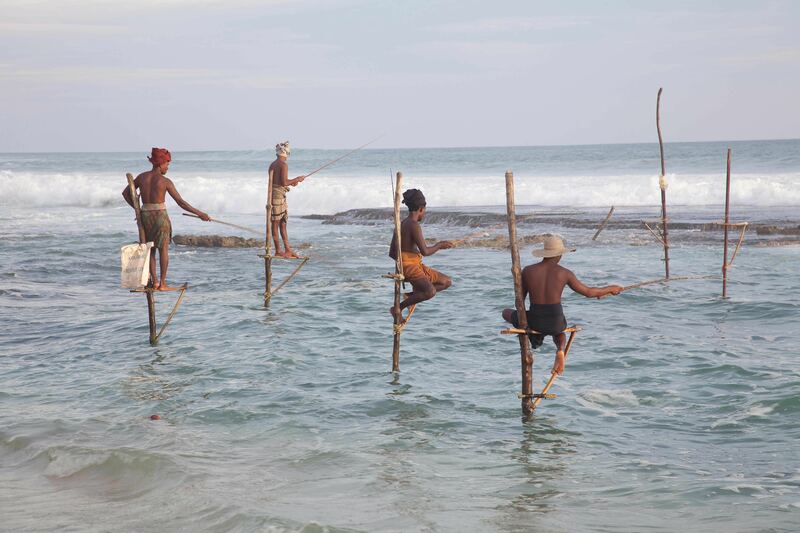 The spectacle of the natural and built environment of Sri Lanka will leave a lasting impact. Pack your dhoti and sunblock – and knock a few items off your bucket list in the New Year! Please make your own way to Brisbane (or your nearest) International Airport for the flight to Singapore. After clearing immigration and customs at Singapore Changi Airport look for your local guide in the arrivals area. The guide can be identified by a small sign with the wording “SRI LANKA WITH JCW – THE ADVENTURE TRAVELLER”. Take a private guided transfer to your hotel. Stay two nights at the Peninsula Excelsior Hotel (Superior room) in Singapore. This morning we will visit the Singapore Botanical Gardens, an impressive 74 hectare (183 acre) garden. 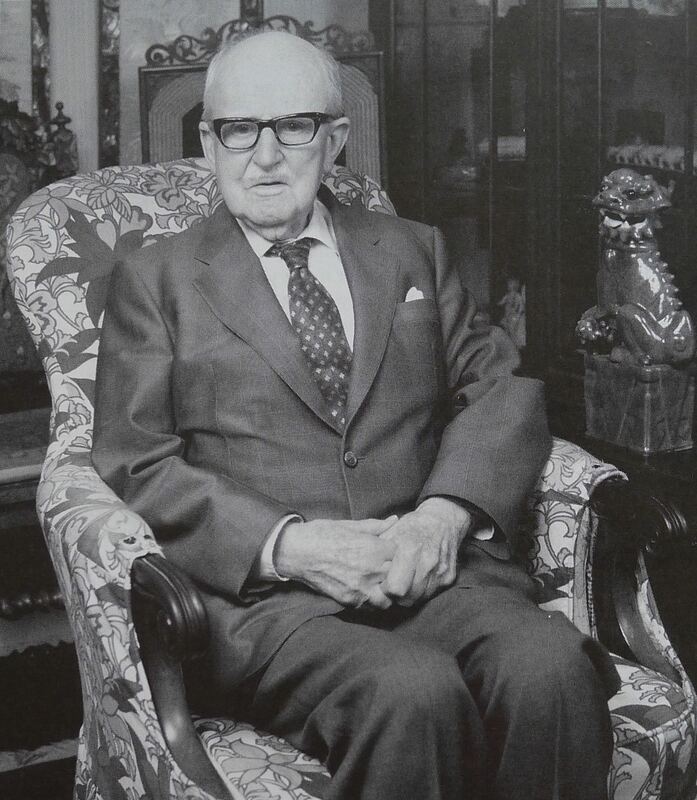 Under the Directorship of Prof. Richard Holttum (1925-54, pictured) these gardens improved to become one of the finest on Earth. In retirement, Prof. Holttum mentored Jerry’s studies in botany at Kew Gardens (1979 – 82). The National Orchid Garden is the main attraction with a collection of more than 1,000 species. Many of the 2,000 orchid hybrids growing there were produced in these gardens. In the afternoon visit ‘Gardens by the Bay’ comprising of three waterfront gardens covering 101 hectares of reclaimed land in central Singapore adjacent to the Marina Reservoir. The Supertree Grove is a major attraction, and visits to the Flower Dome and the Cloud Forest are included. Take a morning private guided transfer to Singapore Changi Airport for a flight to Colombo. After clearing immigration and customs at Colombo Bandaranaike International Airport look for your local guide in the arrivals area. The guide can be identified by a small sign with the wording “SRI-LANKA WITH JCW – THE ADVENTURE TRAVELLER”. Take a private guided transfer to your hotel. Stay two nights at the St. Lachlan Hotel (Deluxe room) in Negombo. Leave the hotel at 0730 hrs this morning for a short private guided drive to Kochchikade where we’ll spend an hour watching toddy tappers at work. Toddy is an alcoholic drink made by fermenting the sap of palm flowers, such as coconut. The toddy tapper’s job is to climb the coconut trees and obtain the sap from the flowers – an impressive sight, particularly when they tightrope walk between trunks. We will then continue on to Mirigama to see and experience rubber tapping at a local rubber plantation before returning to our hotel in Negombo around midday. The balance of the day is at leisure to relax or explore the fish and spice markets of this busy seaside town. After breakfast we will proceed to Pinnawela to visit the state-run Elephant Orphanage. Established in 1975, it cares for orphaned elephants and runs a successful captive breeding program. Afterwards we will transfer by road to Sigiriya (‘Lion Rock’ in Sinhalese, a UNESCO world heritage site) and its 5th century rock fortress and palace, built by King Kasyapa. This world heritage site has been occupied since the Mesolithic Period, 5,000 years ago. The rock was the innermost stronghold of the 70 hectare, fortified city, complete with a moat and rampart. Water gardens, terraced gardens and boulder gardens, dating from 477 to 495 CE, surround the rock. Stay one night at the Aliya Resort and Spa (Deluxe room) in Sigiriya. Travel inland to Kandy in the foothills of the central highlands, visiting the magnificent Dambulla Cave Temple en route. Kandy is Sri Lanka’s second largest city, the former capital, and is, situated in the foothills of the central highlands. We will also stop at a spice garden in Matale where we’ll learn about how the fragrant spices are grown and processed. A Sri Lankan cooking demonstration will also take place at the spice garden. The tour party will be divided into smaller groups to allow all members to experience cooking by themselves. At the conclusion of the cooking class we will enjoy an authentic Sri Lankan lunch served at the spice garden. After lunch we will visit a herb garden to learn more about ayurvedic plants. This visit may take up to 3 hours. Upon arrival in Kandy, we will participate in a late afternoon private guided walking tour around Kandy Lake. This lake was controversially built on productive rice paddies in 1807 by King Sri Wickrama Rajasinghe. Forced labour and the dispossession of farmers for construction caused so much resentment it hastened the end of the Sri Lankan monarchy and accelerated colonisation by Britain. In the evening attend a traditional cultural show before returning to the hotel. Stay two nights at the Ozo Kandy (Sleep room) in Kandy. A visit to beautiful and expansive Peradeniya Botanical Garden is first on the agenda today. Once reserved exclusively for Kandyan royalty, the 59.5 hectare, world-famous botanical gardens at Peradeniya were established by Kew Gardens in 1843. Home to over 10,000 plant species from the wet tropics, including orchids, cacti, medicinal plants, spices, bamboos, palms, economic crops and trees. Some of the striking features include double avenues of palm trees, a Javan fig tree (Ficus microcarpa var. nitida) whose canopy covers 1,600 square metres, creating a remarkable shaded pavilion, and ornamental ribbon borders alongside paths. Adjoining the gardens is the National Herbarium of Sri Lanka which houses more than 200,000 preserved specimens acquired during the past 180 years. With Jerry on hand to share his horticultural knowledge, this excursion will be informative and memorable. Returning to Kandy in the afternoon we will visit the Temple of the Tooth Relic (UNESCO world heritage site within a former royal palace) and also attend a traditional cultural show before returning to the hotel in the evening. After breakfast proceed to McWoods Tea Factory at Labookele and experience a tea tour in the subtropics. Continue by road on to Nuwara Eliya and check into your hotel. Leave the hotel at 1300 hrs for a 1-hour private guided drive to Thalawakele to visit the Tea Research Centre in Thalawakele. You will also have the opportunity to visit homes of local tea plantation workers. It is recommended that tour members bring along some gifts, especially gifts/toys for young/school children. Local workers expect gifts from overseas visitors and will be highly appreciative of them. Stay three nights at the iconic Grand Hotel (Deluxe room) in Nuwara Eliya. Surrounded by lush tea plantations and dotted with landscaped gardens, the picturesque town of Nuwara Eliya was a once favourite hill station of the British in Sri Lanka. With its blend of Tudor and Georgian architecture, Nuwara Eliya is often known as ‘Little England’ so prepare for its temperate climate, which at 1,645 metres above sea level, is the coolest in Sri Lanka. There are breathtaking views of valleys, meadows and mountains. To start the day we will take a guided walking tour around the old colonial city and Gregory’s Lake. We’ll also visit some local vegetable farms and green houses before doing an afternoon excursion to Hakgala Botanical Gardens, Sri Lanka’s second largest botanical garden. 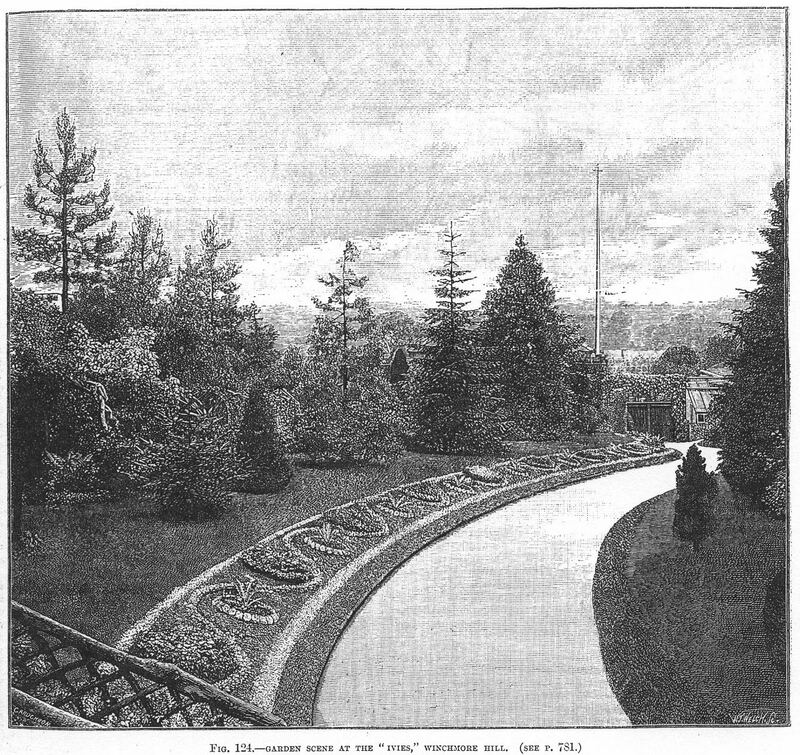 Originally established to acclimatise economic crops, like cinchona (used to treat malaria), in 1884 it was transformed into a botanic garden specialising in temperate climate plants. Roses and orchids abound. Late afternoon enjoy High Tea at the Grand Hotel (included in tour cost and served between 3.5 pm-6pm – smart casual dress; tweeds are highly recommended! Early morning depart today for a guided tour to Horton Plains National Park. The montane plains are an expanse of misty grassland with twisted, dwarfed trees and icy rivulets. The unique feature of Horton Plains is the ‘World’s End’, considered to be the finest view in Sri Lanka. The awesome escarpment drops vertically for about 1,200 metres. The park shelters animals such as sambar deer, endemic Sri Lankan leopards, bears, monkeys and lizards and a diversity of birds. A walk of approximately 10 kilometres, on level land, around the national park is included today. A specialist guide will also join the group today to exchange a more in-depth study of Sri Lanka’s rich and diverse flora and fauna. In terms of flora, 23% of all native plants are indigenous to Sri Lanka. The wet tropical zone is one of the best places to explore due to its huge variety of spectacular orchids, hardwood trees (including ebony, teak and silkwood) and many plants used in Sri Lankan ayurvedic medicine. Sri Lanka’s central hill country is home to some fascinating cloud and pygmy forests (cool, temperate climate) as well as extensive grassland areas, such as the famous Horton Plains. Even the dry zone, though usually arid, can erupt with colour after rain. Transfer by road from Nuwara Eliya to Yala National Park this morning, a journey which will take approximately 5 hours. Situated in the south-east corner of Sri Lanka, hugging the panoramic Indian Ocean, Yala was designated a wildlife sanctuary in 1900 and made a national park in 1938. One of the largest national parks in the country, the terrain at Yala is varied with grassy plains and forest, rocky scrubland, lagoons and a coastline. This multitude of environments supports a diverse range of animals including 44 varieties of mammal and 215 species of bird, both migratory and endemic. Yala’s most famous residents are the Sri Lankan leopard and Sri Lankan elephant, however an abundance of buffaloes, Sri Lankan sloth bears, deer, wild boar and saltwater and mugger crocodiles also call the park home. Stay two nights at Jetwing Yala (Superior room) in Yala Village. Today we will do a full day jeep safari in Yala National Park. The best times of day to spot wildlife are first thing in the morning and late in the afternoon so after rising early we’ll hop in the jeeps with a packed breakfast and spend the morning searching for animals with our hawk-eyed guides. Please note that the roads inside the national park are very basic tracks so the going is rough. A lazy lunch break will be taken near the river or by a beach before we return to the jeeps for some more game viewing in the afternoon. We will return to our accommodation at Jetwing Yala at sunset to reflect back on a long, but exciting day. Leave Yala National Park for Bundala National Park this morning. Much less visited than nearby Yala, Bundala National Park is a fantastic maze of waterways, lagoons and dunes that glitter like gold in the sun. Seven different terrestrial and six different aquatic habitats combine to form a UNESCO-listed ‘Man and Biosphere Reserve’. This wonderland provides a home to the only Palu tree (Manilkara hexandra) forest in Sri Lanka. Thousands of colourful birds ranging from diminutive little bee-eaters to curious open-billed storks call Bundala home. It shelters almost 200 species of birds within its 62 square kilometre area, with many migrating from Siberia and the Rann of Kutch in India to winter here, arriving between August and April (December to March is the peak time, so we should be lucky). Bundala is also a a very special winter home to the greater flamingo, and up to 2,000 have been recorded here at one time. Whilst at Bundala we will enjoy a safari in the park. and witness how they prepare buffalo curd, then continue along the southwest coast towards the walled city of Galle, once the chief port of Ceylon. En route we will visit the stilt fishermen in Weligama. Stay two nights at the Chaaya Tranz Hotel (Superior room) in Galle. This morning, take a guided walking tour of the historic Fort area, a UNESCO World Heritage site and Sri Lanka’s best preserved colonial town. Influences of the Portuguese, Dutch and British can be found in the architecture and fortifications of Galle, making it a beautiful and exotic city which is bursting with the scent of spices and salty winds. The balance of the day is at leisure to relax or continue exploring the atmospheric old streets and walls of this venerable port city. After breakfast we will depart Galle for the Lunuganga Estate in Bentota. Lunuganga was the country home and garden of Geoffrey Bawa (1919 – 2003), Sri Lanka’s most prolific and influential architect. The garden at the Lunuganga Estate remained his first muse and experimental laboratory for new ideas. He continued to change and experiment with its’ spaces and structures throughout his life and it remains today a wonderful and magical place to explore. After having lunch at Lunuganga, we will continue on to Colombo. Like many capital cities in developing countries, Colombo is fast changing its face, yet in parts the old world charm is retained. You will see the century-old clock tower and several British-built colonial buildings. 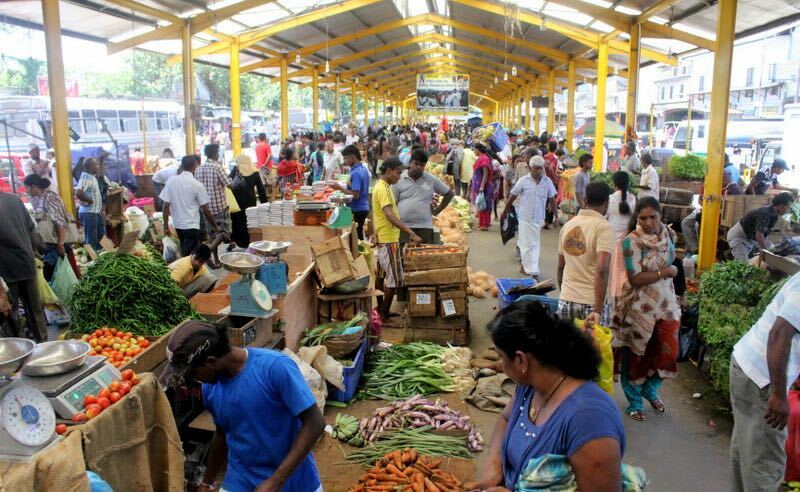 Visit the Pettah Bazaar for bargain shopping, a Hindu and a Buddhist temple, and residential areas of stately homes. Stay one night at the Galle Face Hotel (Run-Of-House Sea View room) in Colombo. This morning we will take a private guided transfer to Colombo Bandaranaike International Airport for your flight home. 0650: Arrive Brisbane (or your nearest) International Airport. Cost of this tour please ? Awesome, Jerry will you do any more trips like this?